Space Agency Forum (APRSAF-22), Bali, Indonesia. through Solar System Frontier Development” was Selected for Innovation Hub Support. The time finally has come; the seeds sown in 2015 by the Space Exploration Innovation Hub Center will soon bear fruit. Japan plans to proceed towards lunar and Martian exploration under the framework of international space exploration. The Moon and other planets have significant gravity fields, which means they have high affinity to ground technology. Therefore, new developments will likely incorporate a blend of both space exploration and ground technology. It is time to industrialize research and development in technology to create innovation both in Space and on Earth. 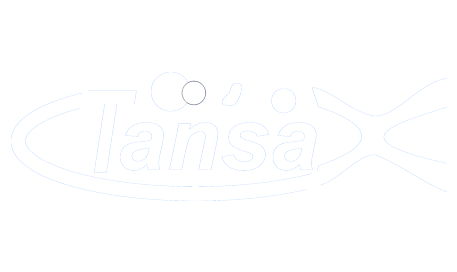 *“Tansa” means “exploration” in Japanese. The Logo symbolizes our aim to expand the humanosphere and the domain of human activities within the Solar System. “X” symbolizes a rocket engine nozzle and projects the image of flying freely and vigorously from the Earth (blue) to the Moon (yellow), the asteroids (gray), and Mars (red) in the Solar System. Our “Open Innovation Hub for Expanding Humanosphere and the Domain of Human Activity through Solar System Frontier Development (Open Innovation Hub)” was selected for the Support program for starting up innovation hub sponsored by the Japan Science and Technology Agency (JST). With JST’s support, innovative technology development has become more promising. The expansion of humanosphere and the human activity domain through space exploration development will be directly linked to creating values for new space development applications. In the next ten to twenty years, space exploration will be primarily led by activities to explore the moon and Mars through international collaboration and competition. Various entities will be involved, including private companies. -Press Release: “Open Innovation Hub for Expanding Humanosphere and the Domain of Human Activity through Solar System Frontier Development” was Selected for Innovation Hub Support. If you have any questions, please contact us via this e-mail address. Please allow 10-15 business days for a reply.